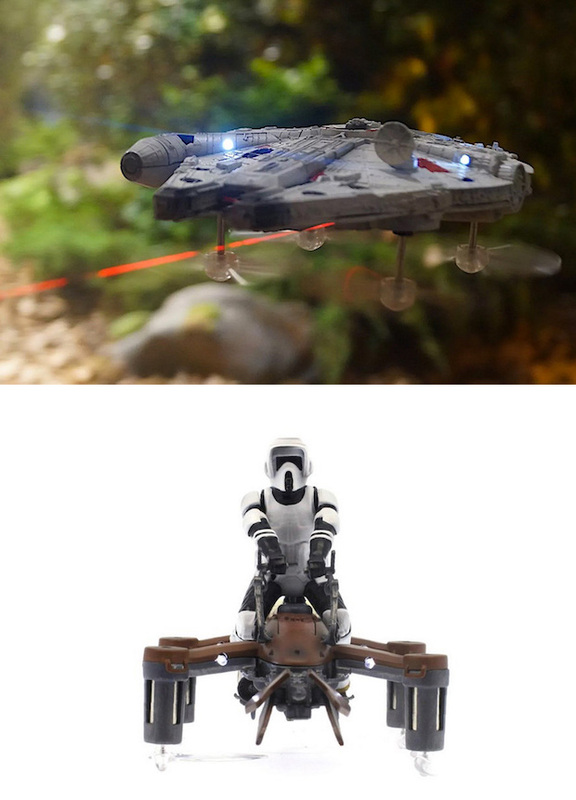 Propel RC has developed a collection of officially licensed Star Wars drones. Choose the 74-Z Speeder Bike, Tie Advanced X1, T-65 X-Wing Starfighter or the Millennium Falcon. All feature a four-prop design and reach their top speed of 25MPH in just 3 seconds. They feature on-board lasers enabling acrobatic dogfights—when you’re hit 3 times by your opponent’s lasers, your drone is automatically grounded until you reset & start over.